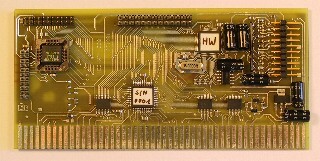 The Highway is a half length Zorro II card which provides the Amiga with USB ports. - Contains a 38pin expansion port for the connection of the Norway ethernet module. At the time of writing drivers exists for mice, keyboards, serial interfaces and parallel ports (printers). Third party drivers for digicam and webcam are in development.